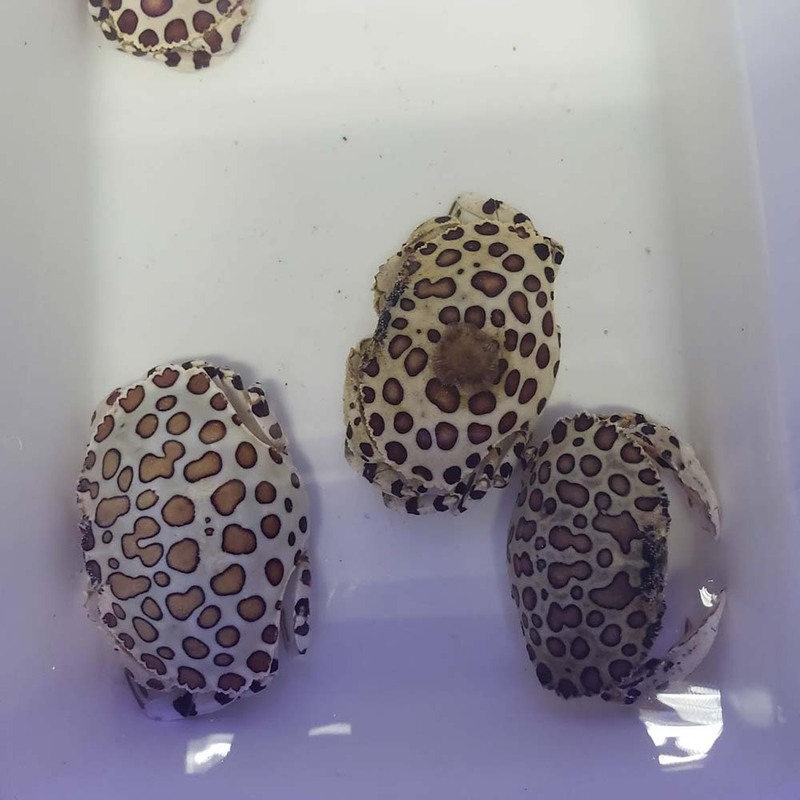 Approximate Purchase Size: 2" to 3"
Notes: Calico Crabs are walking crabs, meaning that their back legs are designed for walking rather than being flattened and used for swimming and digging. 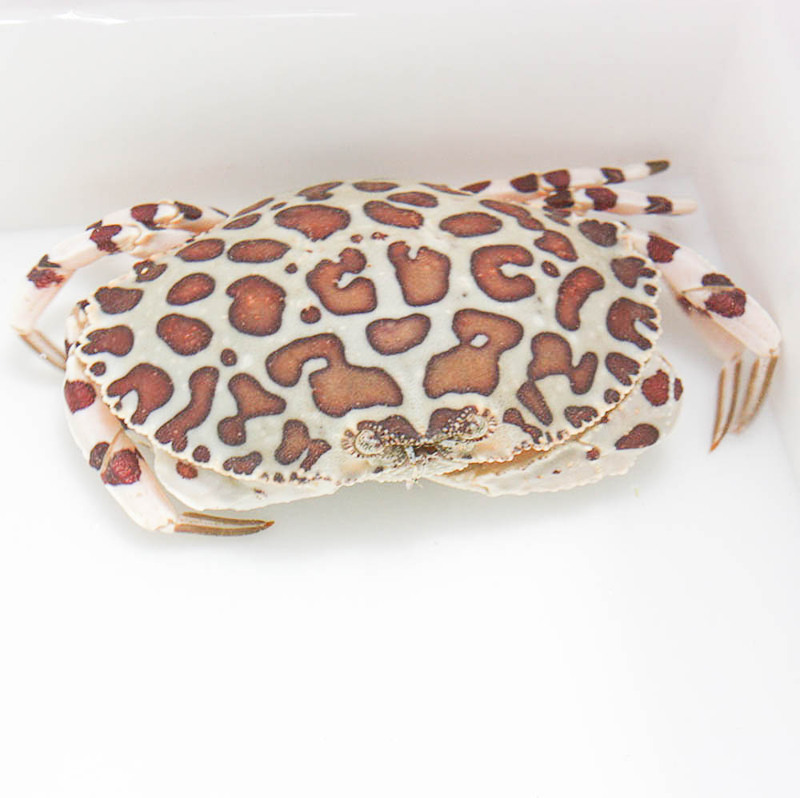 Calico Crabs are usually scavengers rather than hunters. Another interesting note is that the Calico Crab usually has a Tri-colored Anemone, Calliactis tricolor on its back, that comes off when the crab molts. I ordered my first crab and he was DOA. Debbie responded immediately and offered to ship me another crab. My second crab just arrived and was drip acclimated and is now in my tank. He looks healthy, with no sign of stress. I would definitely order from this company, great customer service! Q: I am odering some shrimos and I need to know if the crabs you offer are safe to be in the 20 gallen tank? A: I would not suggest this crab for anything less than a 30 gal tank and that may be pushing it as these crabs do get fairly large.